OLD PARKED CARS. 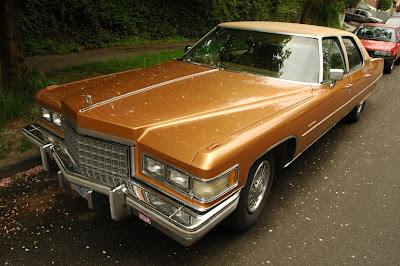 : Wire Wheels & Vinyl Tops: 1976 Cadillac Fleetwood Brougham d'Elegance. 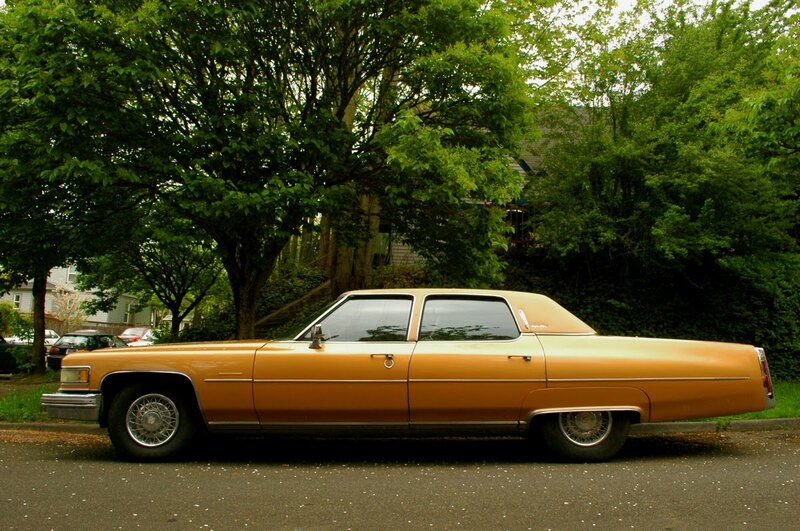 Wire Wheels & Vinyl Tops: 1976 Cadillac Fleetwood Brougham d'Elegance. Absolutely dominating that corner with its blue-gray oxidized brother. 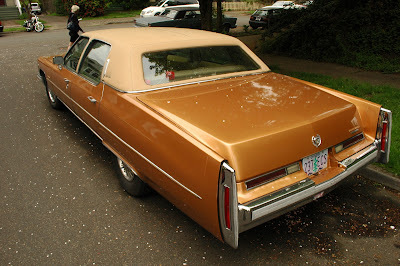 She's gorgeous.....'cept for those non-original,later model wire hubcaps.